Very excited to have work from my new portrait series “Giving Grace,” featured at the Center for Fine Art Photography Contemporary Portraiture Exhibition. This entry was posted in projects on February 6, 2019 by Kuo Photo. I could never understood the dark irony of stalking a majestic wild animal, who, using every skillful instinctive tool it possesses to survive, and being quite deft with those skills on its own, with all the endeavor that daily survival entails, is suddenly in one defining moment, taken out of existence. More befuddling, is once it’s been extinguished and devitalized, it is taken to a taxidermist, who then tries to make it look as lifelike as possible. I could never understand, the bragging rights for the spoils of an ambush, of a harmless animal that wanders (or is baited) into a fatal frame and taken down by a high powered something or other. What is the takeaway, of receiving a bounty for an arena of your own design, with a player of one? There is no squaring off. There is no even playing field. There is not even awareness, from the other opponent, that they are even participating. We could also equate this scenario in kind, with the plight of our planet. There is no point for preservation, if essence is lost. This entry was posted in projects on December 11, 2018 by Kuo Photo. 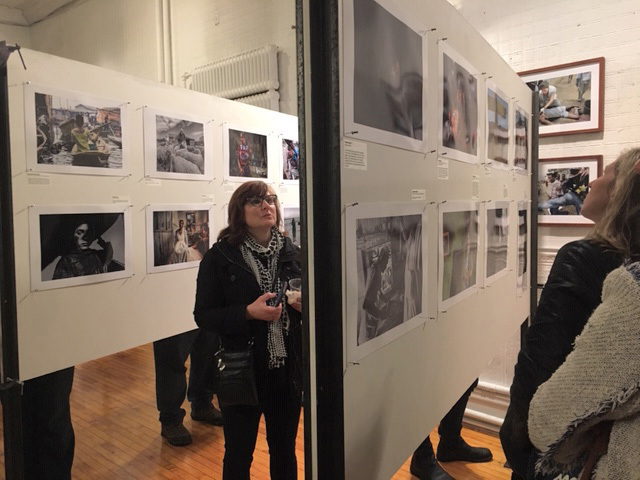 Very proud to be a part of the social documentary landscape, and to have participated in SDN’s 10th Anniversary Exhibition and Celebration. A wonderful turn out despite the inclement weather, and an honor to meet artists who are invested in changing the social landscape. A powerful exhibit was held at the Bronx Documentary Center in NYC, covering a decade of truth storytelling punctuated by the musical performance of James Lovell and the Afrigarifuna Music Ambassadors. Their performance cannot be overstated. He is an educator, activist, and co-founded a performing arts company which promotes indigenous Garifuna culture from Central America. He performs at the UN, and the Smithsonian. Currently being exhibited at the center, is “War and Peace in Liberia” Some never before seen images, from brave journalists Tim Hetherington and Chris Hondros, whose work was instrument in bringing to light, the humanitarian crisis in Liberia. Their documentation of events, helped bring international attention and momentum in helping to create the UN peacekeeping mission that helped bring the war to a close. Not to be missed. This entry was posted in news and events on October 28, 2018 by Kuo Photo. Who doesn’t like a massage? And that includes the bovine’s at Whippoorwill Farm in Lakeville CT. Farmer Allen, runs a humane and sustainable farm that is AWA complaint. AWA standing for Animal Welfare Approved, which upholds the highest standards for ethical and humanely run farms that raise livestock for food. 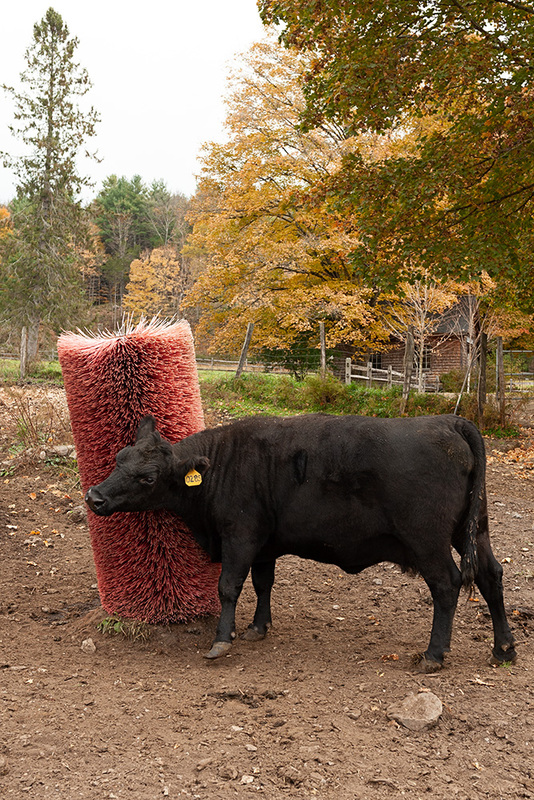 Farmer Allen goes the distance when it comes to doling out some extra special comforts, such as, repurposing a used car wash brush as a scratching post for his cows when they become itchy from shedding their hair coats. During the warmer months, Allen’s often found in the field giving massages to a few choice cows, who lean into him for more, just as my dog Ernie does. It is commonly thought, that livestock raised humanely and with compassion, produce more tender meat, vs their sad counterparts who live a life of stress and despair in factory farms. Considering fresh air, space, and a clean and beautiful environment, are essential to all walks of life. A lucky cow falls into a meditative trance as Farmer Allen gives it a back massage. Farmer ingenuity. A repurposed car wash brush, is used as a scratching post for farmer Allen’s herd. This entry was posted in projects on October 28, 2018 by Kuo Photo. Even in decay, nature still provides. As I got off the train yesterday and walked towards my car, my eye was caught by a landscaped area by the bike racks . 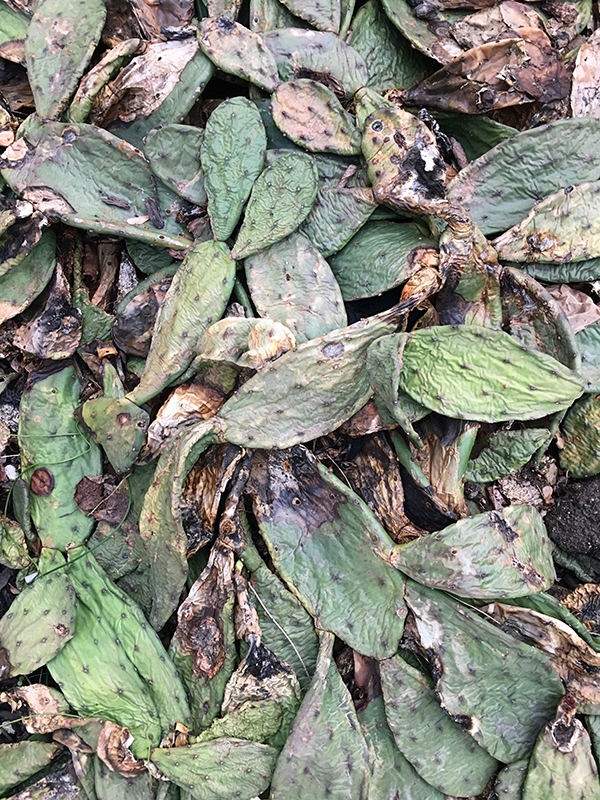 It contained a large mass of prickly pear that seemed to have met its demise in a brief but dramatic thunderstorm that hit the area a couple of days ago. It was a sad sight, but at the same time, quite beautiful. There was much going on as pill bugs and snails were at the scene, doing their due diligence and taking advantage of the carnage. Nature is efficient, she is resourceful, and she is not wasteful. She self grooms in these storms, recycling energy back into her intelligent systems that humankind can’t fully comprehend. What can we glean from her wisdom? There are infinite resources in observing nature. How can we learn from this paradigm of decay? In our disposable society, we generate so much toxic waste-soiling of our own nest. If we do not have the discipline and understanding to make better choices for ourselves and our planet, then we need to cultivate solutions that do not cause further harm, and provide solutions to our damaging ways. Nature, has the answers. We just need to ask the right questions. This entry was posted in projects on May 18, 2018 by Kuo Photo. Upon the arrival of the 4th nor’easter in 2 weeks, the media was full of shock and awe, broadcasting threat and doom, spreading fear based messages about the impending storm. Surely mother nature had delivered her best in the previous days, but I couldn’t help but think that there is never post storm coverage, of the wondrous beauty that she leaves behind. As much destruction that is reported, there are equally as many breathtaking scenes that she leaves behind in her wake. Though the storm comes in swiftly with broad punishing strokes, it is equally delicate and fragile, and painterly in its ways. 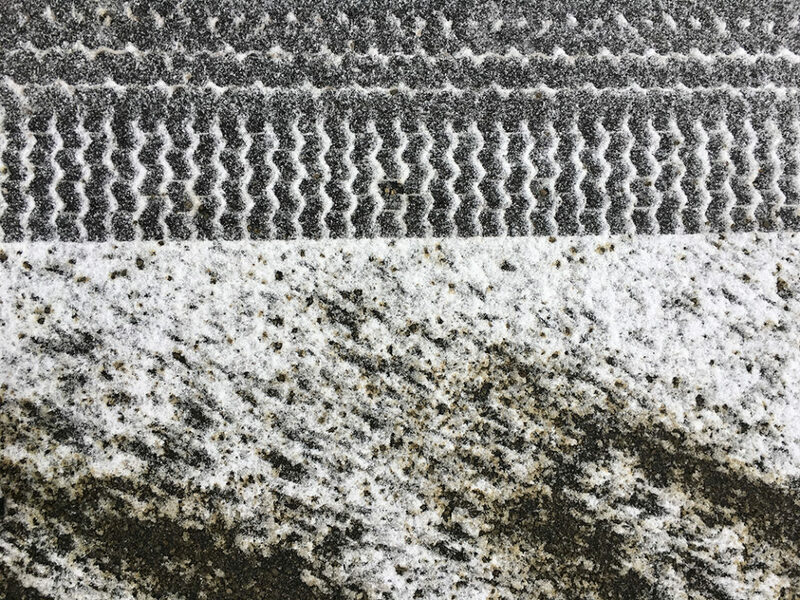 My daughter and I took a walk around the block as clumps of flakes floated down from the sky, and the black wet road was dusted with a thin coating of freshly made snowflakes. 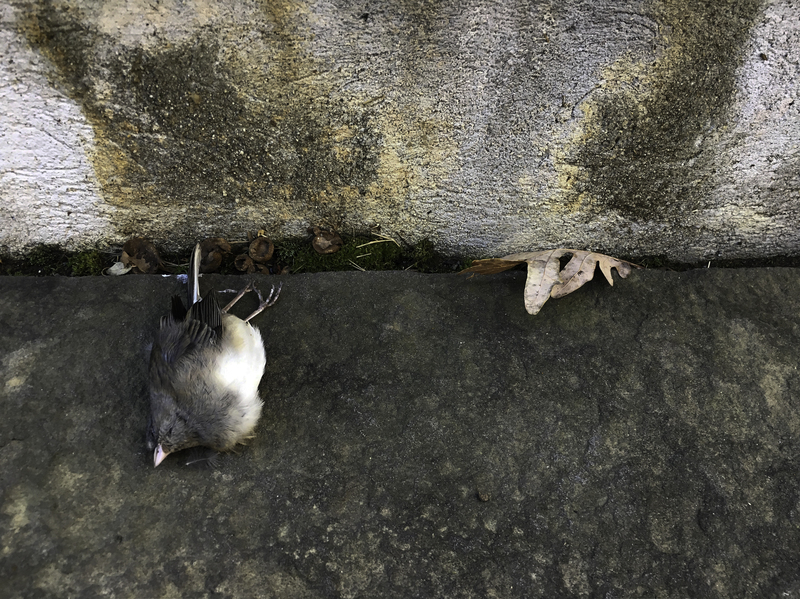 My daughter and I felt that in some way we were violating the individuality of each flake that had dropped down onto the earth, only to be crushed beneath our footsteps. The thin veneer of snow was nowhere near the predicted 7-11” Not even accumulating to 1”. We walked slowly noticing all the beautiful patterns the snow made in the trees and branches-an ombre of white around a tree trunk, directed by the wind. Then we heard a distant rumbling, becoming louder as a salt truck lumbered onto our block. Oblivious of our presence and the pristine untouched snow on the road, it plowed through, spinning large coarse chunks of salt onto the thin layer of snow. Harsh and violent, and unnecessary overkill for a situation that was completely unwarranted of the current condition. As we walked back, I looked at the deep grooves of the tire tracks, and the abrupt scattered pattern of salt thrown into the snows path. And I just felt bad, for the overly aggressive act that I had just witnessed, and complete sense of waste I felt on so many levels. I understand, that the salt truck had its marching orders – “pre-empting” further escalation by the storm, which by they way, never came to its full prediction. But I couldn’t help but feel that there was no asking, no evaluation of the situation, just a mighty blow. A “takeover.” This is how I feel humankind addresses nature. It’s a one sided show of control and disregard to shape, arrest, and conform her to our will and the irony is, that nature can take us out in one fell swoop, any time she wants to. One of 3 deer found at the scene. Mating season, or “the Rut,” occurs in autumn, when buck are in high pursuit of a doe. Delighted to be featured in the Jan/Feb. issue of Photograph Magazine, curated by Elisabeth Biondi. “Linda Kuo believes that nature, despite being disrespected by humankind, holds the answers to our survival. She insists that we should held accountable for its treatment-that good stewardship, rather than dominance, will lead to ecological solutions. Her convictions find expression in her photographs, which tell stories about the vulnerability and marginalization of animals. 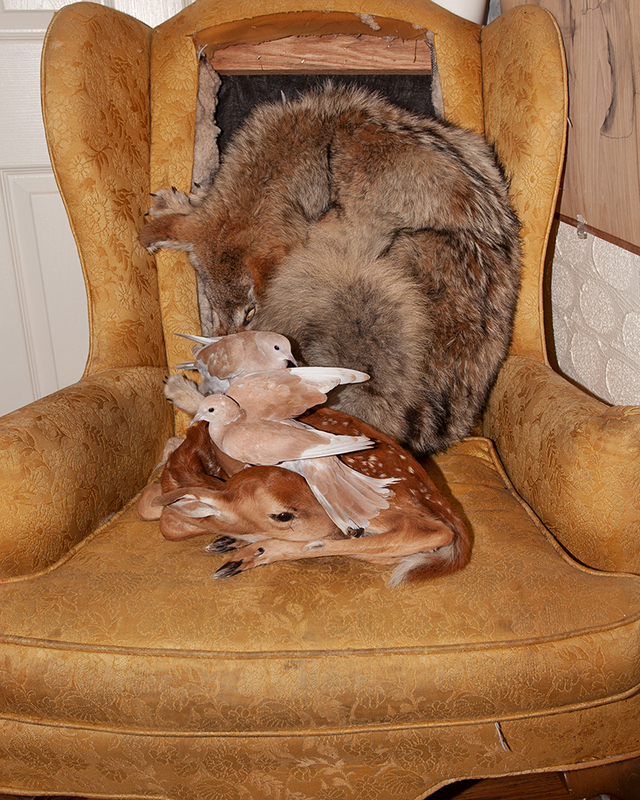 In her most recent project, Reclaimed, deer killed in car collisions take center stage. Kuo lives in Westchester, New York, which like many suburban East Coast communities has an abundance of deer. They are perceived as a nuisance, a view she does not entirely share. 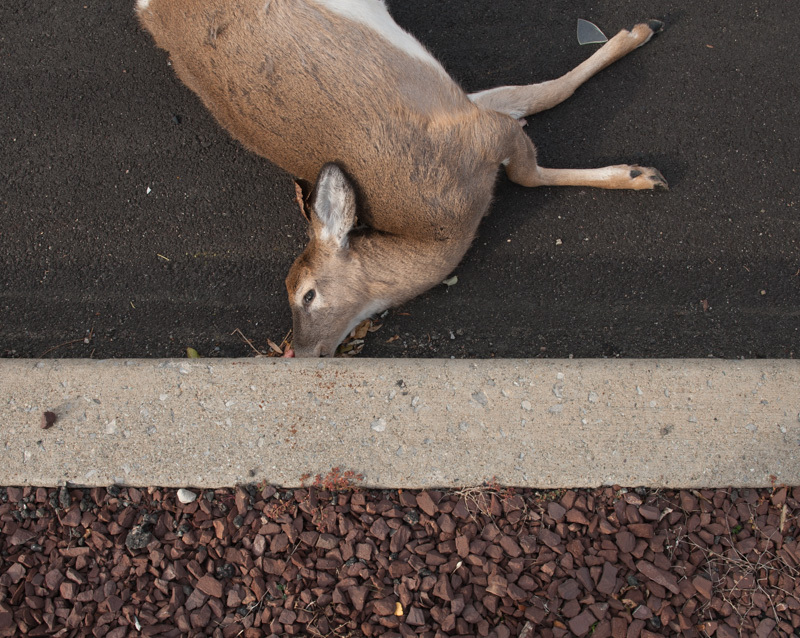 Once day, coming across a deer killed along the road, she felt compassion for the lifeless body and was compelled to photograph it. While she was photographing in the pouring rain, a Department of Transportation truck came by to pick up the deer. 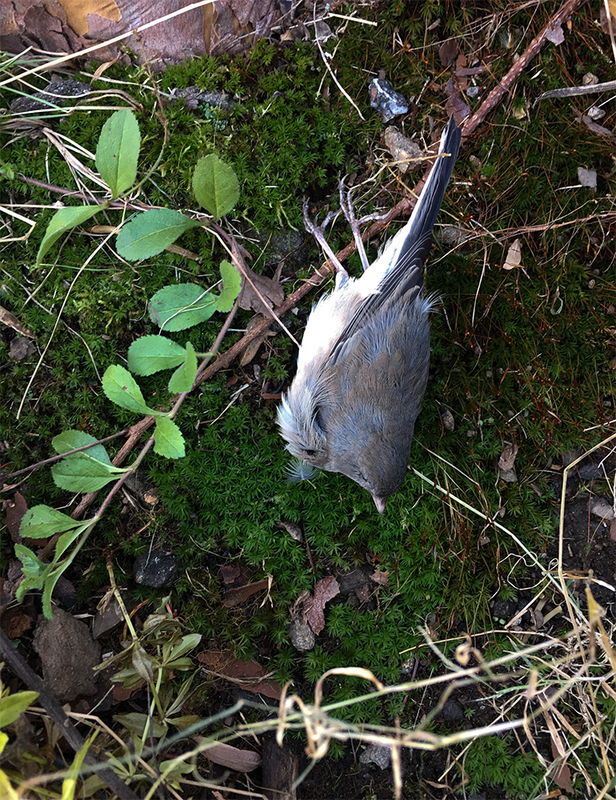 The encounter sparked her curiosity about where they took the animal, and she began to research it. Ulster County, New York, not far from Westchester, enacted a program a few years ago in which the bodies of the deer are removed and turned into fertile compost. 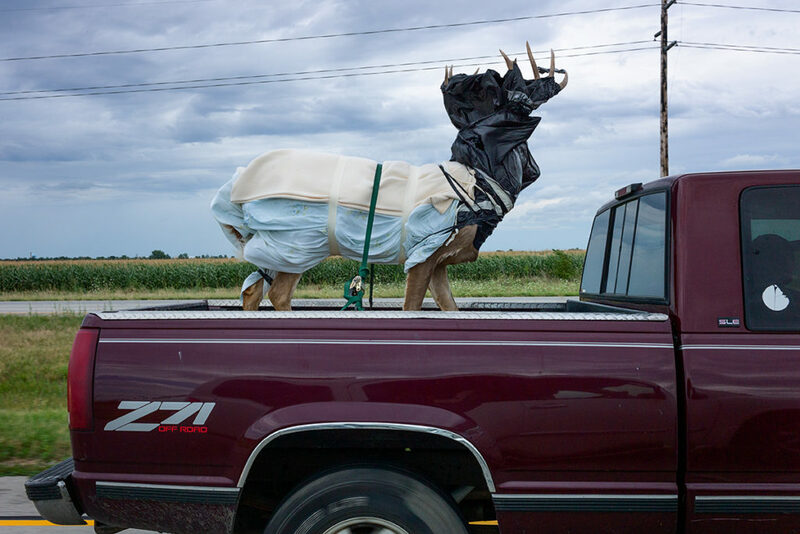 as soon as she found out about the program, she embarked on a project of documenting this cycle of animals being reclaimed and returned to nature. Meticulously photographing each step of this process, Kuo does not shy away from its unsavory aspects, but her images are filled with reverence for the animal and nature. Her pictures are perfectly composed, though Kuo is self-taught, and their beauty derives in part from her instinctual connection with the natural world. This entry was posted in projects on January 6, 2018 by Kuo Photo. 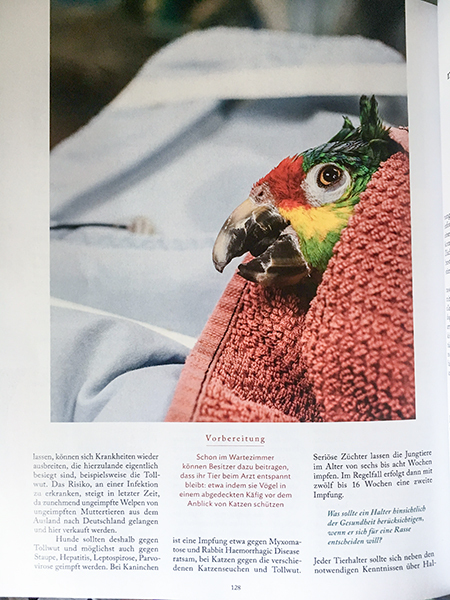 Very happy to be featured in GEO Wissen, featuring images from my project “Displaced.” The feature story focuses on animals undergoing various states of rehabilitation. 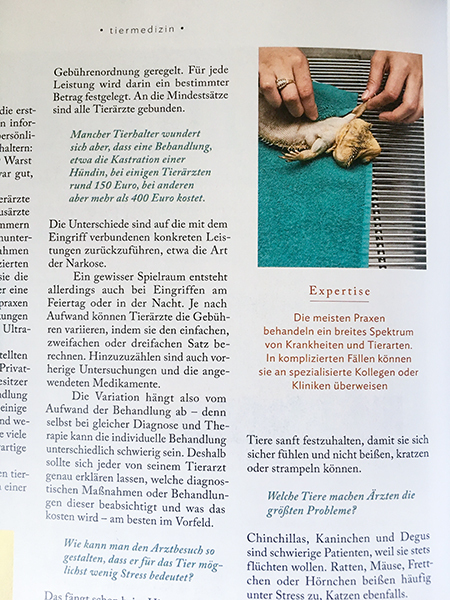 “Displaced” focuses on exotic pets that receive treatment at the Avian and Exotic Medical Center in NYC, and their experiences at the center. This entry was posted in news and events, projects on November 27, 2017 by Kuo Photo. Jennifer and Elmo take a nap in her granny’s bed. 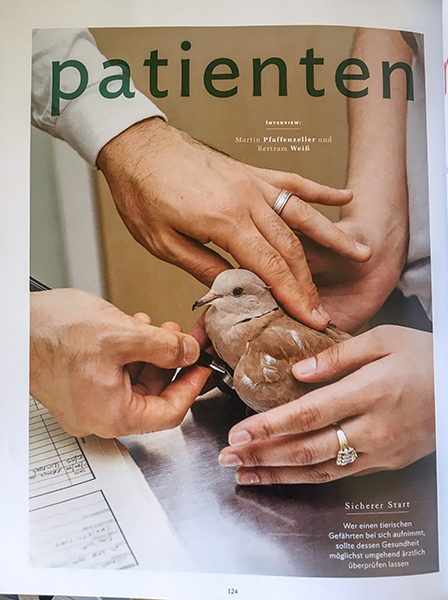 I first met Jennifer and Elmo at The Avian and Exotic Medical Center in NYC, while shooting a personal project. Jennifer is an only child, and was raised by her grandparents and her mother. When her grandpa died when she was only 23, and her mother shortly thereafter, Jennifer continued to live with, and take care of her 92 yr. old granny. She originally bought Elmo-an intelligent and engaging Cockatoo that talks, (and says her name in Spanish with a Dominican accent), to keep her granny company when she’s at work. Recently her granny passed away, and Jennifer and Elmo remain in the apartment she grew up in. Elmo likes to take naps, and here they are taking a nap together, in her granny’s bed. From the moment I met them, it was apparent they had a close knit bond. 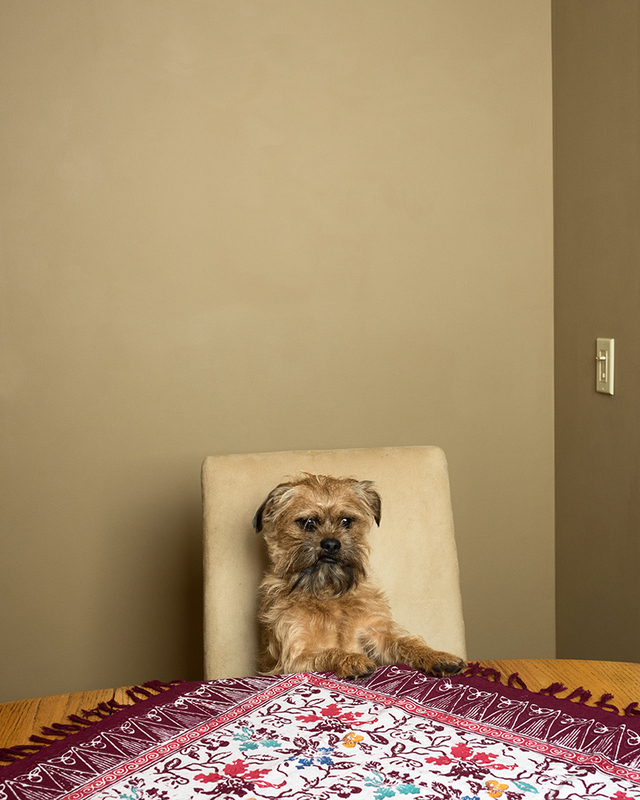 I entered this image in Alec Soth’s contest for “this ain’t art school.” Alec Soth, in conjunction with Deichtor Hallen of Hamberg, ran a contest with the theme of “sleep” When I came across the contest, this image of Jennifer and Elmo came to mind, and I entered it on the last day. I am fond of it because for me, taking a nap with a beloved pet, is the best nap there is. To indulge in a nap with a pet- hearing them breathe, and snore, is not like taking a nap with a person. There is an understanding, an unspoken bond and connection that is beyond human comprehension. I just found out that I have won second place, and am overjoyed. I’m overjoyed because of the good natured spirit of the contest, looking at all the entries, and for the love of the theme, which was”Sleep.” Sleep, love, eating. All the most basic of needs, that have deep meaning, ritual, and comfort in all its associations. It was a contest where placing, was akin to my memory of winning my first contest ever, where the prize was a 6 pack of orange crush that I had won by being the 6th caller into a radio station when I was in high school. 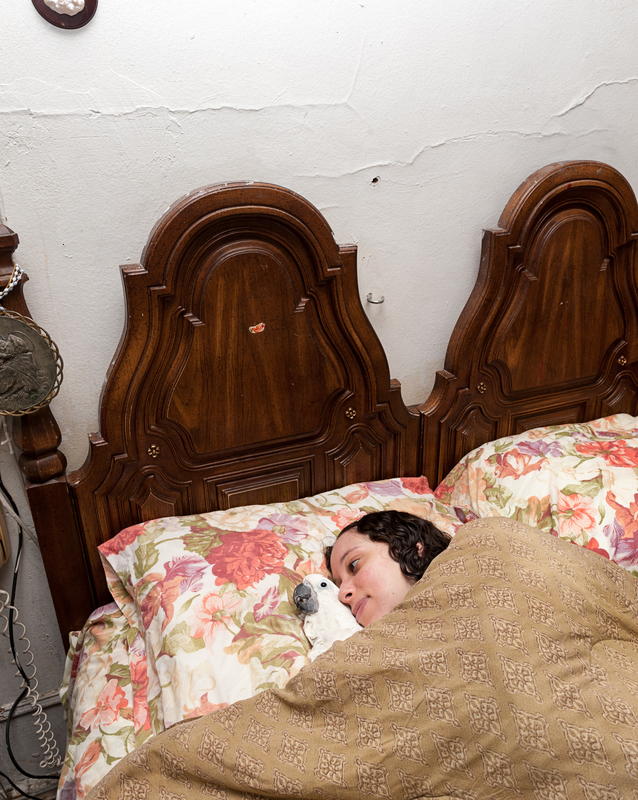 Of course this contest has much more significance and purpose, but for me, Alex Soth’s work has deep meaning, context, but also many times humor and levity. And it’s humor and levity, that we need most of all. Alex explained why he chose the images that he did, and for mine, it was Elmo the cockatoo, along with the fact that Jennifer’s curls mimic the telephone cord at the edge of the bed. Her curls and relationship to the cord, his did not occur to me as I was photographing them, but ironically, sometimes my images possess this type of irony after the fact. I find that these artistic coincidences, are really in fact probably not coincidences, but subconscious choices made deep within our psyche. It’s always a marvel, and a revelation. This entry was posted in news and events, process on October 9, 2017 by Kuo Photo.